GU10 Dual White LED smart light LED spot. Halogen replacement LED spotlight. 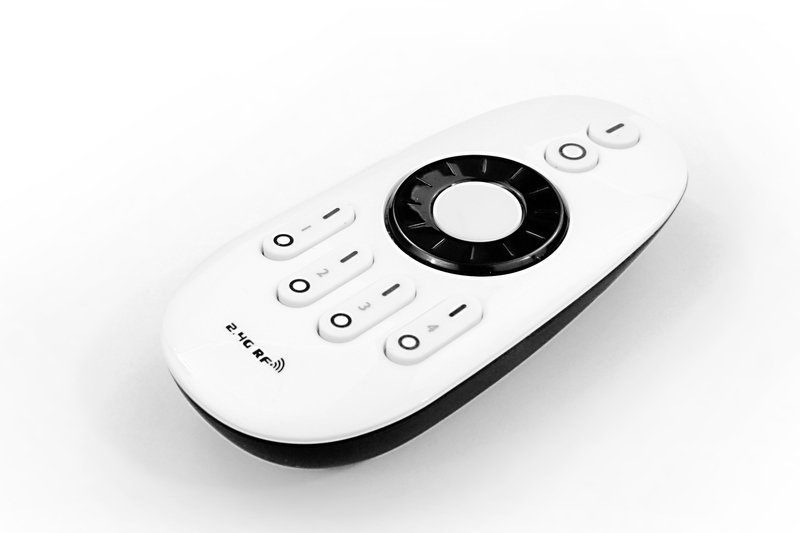 Dimmable with Dual White RF remote control, or with the optional Wifi Box. Variable color temp from warm white to pure white. Save energy up to €100 per year! New! The ideal halogen replacement Dual White LED lamp with GU10 220 Volt socket. 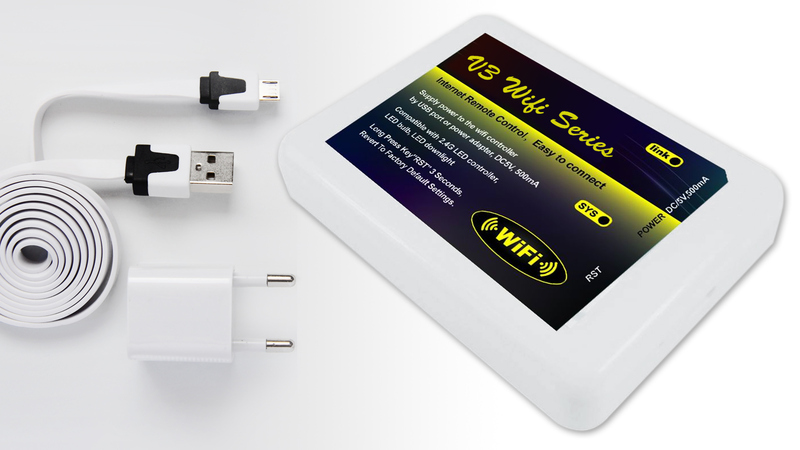 Operated via the optional Dual White RF remote control or via Wi-Fi Box with APP for your smartphone or tablet. Replace your energy-guzzling halogen spotlights with these modern 10 times more efficient GU10 220 Volt LED spotlights. Save 450 KWH (*) when replacing five 50 watt halogen spotlights, that's more than €100 a year! They pay themselves back within 12 months!. With a lifespan of 10 years, the math is quickly made. 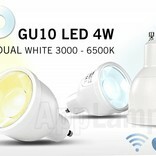 These wireless 4 Watt halogen replacement LED lamps with GU10 socket can be adjusted from warm white to neutral white to cool daylight. The special LED lens makes the light rays beautifully bundled and directional. In addition to adjustable color temperature (Dual White) they are also dimmable and have a night light mode, the power consumption and brightness are then set to an absolute minimum. You can add an infinite number of GU10 spotlights to one remote with control over four individual groups (or via the Wifi Box APP). 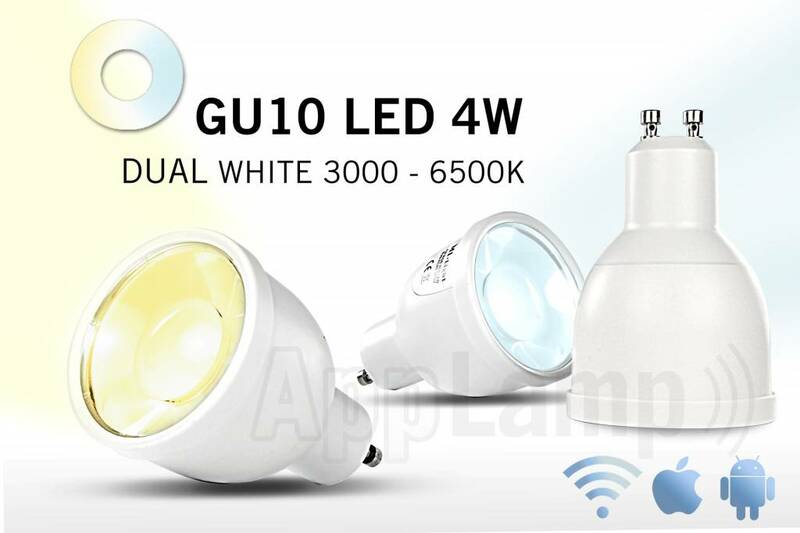 The Dual White LED GU10 spotlights are also easy to combine with other Dual White LED lighting products from AppLamp, like recessed downlights, LED bulbs and LED strips. Now replace your halogen spotlights with these modern LED spotlights and save big bucks!